The Ibis is the Caldari Corvette. 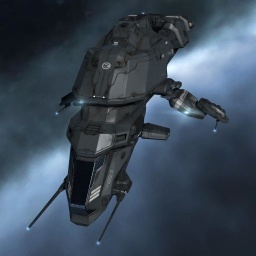 This ship is given free of charge to Caldari players who, whilst in in their capsule, dock at a station in which they have no ships. It has no blueprint and cannot be manufactured or reprocessed. Pilots focusing primarily on missiles weapon systems may find the Kestrel to be an effective replacement. For pilots more interested in hybrid turrets, the Merlin is a good choice. For pilots looking to work with a fleet in a tackle role, the Condor is likely your next step. For pilots aspiring to be proficient at exploration, the Heron exploration frigate is an excellent tool for the job. Pilots interested in repairing other ships in battle should take a look at the Bantam. For pilots looking to support fleets by disrupting the enemy's ability to target other ships through Electronic Warfare, the Griffin is a useful ship. Further information about additional or recommended skills to pilot Ibis for a specific or it's common role(s) can be written here. No sub-article about Ibis roles or piloting tactics. You can write them here. Non-Caldari ship collectors can obtain a copy of this ship by visiting a Caldari starting station and completing Aura's tutorial missions, or it can be obtained via contract from another player. Ibis is sometimes preferred as an extremely cheap ECM boat because of its 30% ECM strength bonus. This page has been accessed 81,113 times.